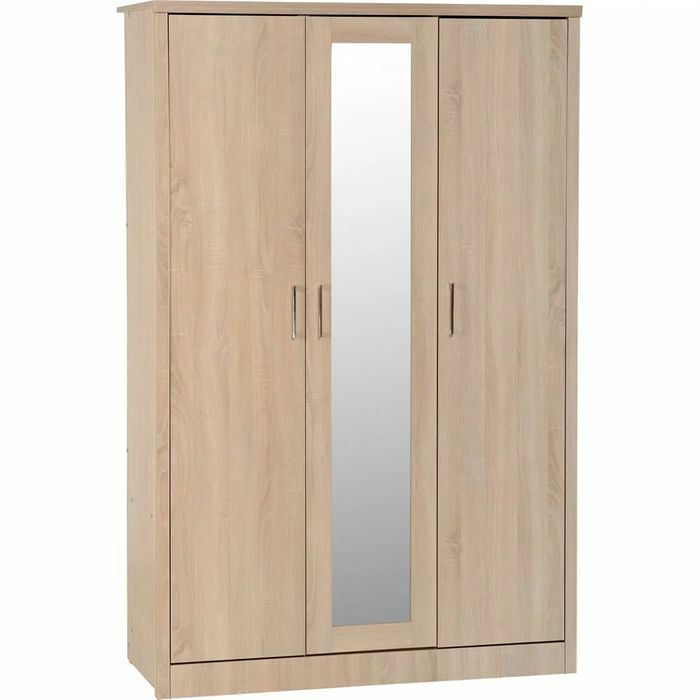 Add valuable storage space or update your existing bedroom furniture with this modern Lisbon 3 Door Wardrobe in sonoma oak effect. The double doors open to reveal ample hanging space plus an internal locking drawer to keep valuables safe. The single door opens to 4 shelves, giving additional space. The wardrobe also has a handy full length mirror situated on the middle door. Additional furniture is available from the Lisbon range to complete the look. Also available in black woodgrain.